Yup, it's true. You're not dreaming. No need to pinch yourself. 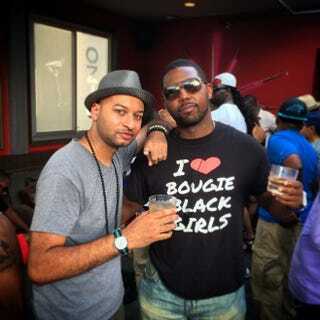 Both the Bougie Black Girl and the I Love Bougie Black Girls t-shirt campaigns are back, again. This time, however, while the Bougie Black Girl shirts and hoodies are black, the I Love Bougie Black Girls tees and hoodies are gray. You can visit the VSB store for both campaigns. Both campaigns end in 10 days.